There’s no denying that we’re all going gaga for gelato right now, and Whisk Creamery’s soft serve gelato is the cream of the crop. Made with no artificial colours, flavours or preservatives, it’s practically healthy – and it makes for some seriously sweet treats. 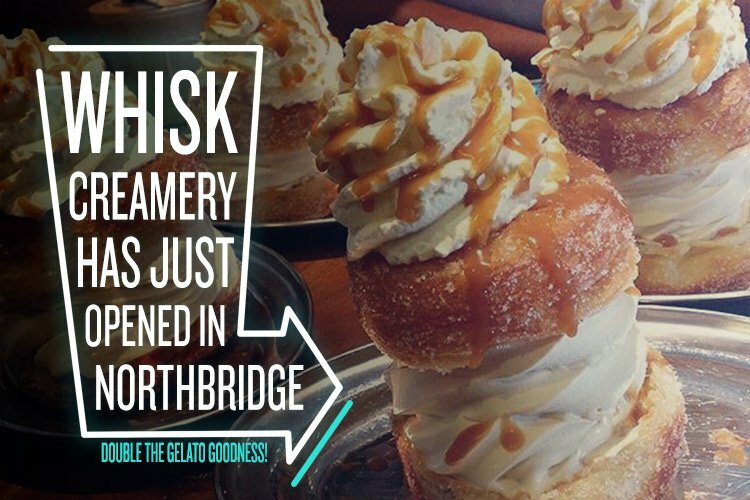 Think cronuts filled with salted caramel gelato, waffles with coffee mousse and fairy floss, and a deconstructed pavlova made with vanilla gelato. It all looks so good it should be called gel-art-o – but believe us when we say it tastes even better! Whisk Creamery also has incredible Freakshakes and deep-fried ice cream – but the best bit is that you can go totally off-menu and make your own masterpiece. Just pick a flavour, smother it with anything your heart desires from a huge list of toppings and sauces, then dig in and melt at how good it is. It’s like the choose your own adventure of desserts – and there’s nothing cooler than that! We decided to chill out and have a chat with Simone, the true dairy queen behind Whisk Creamery. Hi Simone, thanks for taking the time to talk to us. Can you tell us a bit about your background and how you ended up at Whisk Creamery? My family and I come from Italy. Back there, my grandfather started working in a patisserie and ice creamery in 1948 as a kitchen hand, then in the ‘70s he opened his own patisserie and started a successful family business. My father and my uncle joined him and learnt how to make gelato and many other Italian desserts. Years later, my brother and I also joined the family business and we opened other branches, always in Italy. 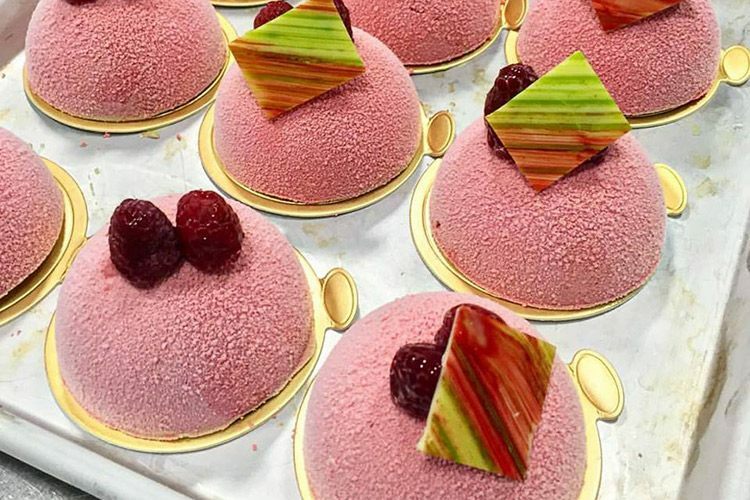 I also lived and worked in Paris for some time, and somehow everything I learnt in patisseries there was different from what I learnt in Italy! Sounds like you’ve got a lot of gelato experience under your belt! You’ve just opened your new store in Northbridge – do you think you’ll continue to expand in the future? Well, we will definitely keep expanding in terms of improvements in technologies and many other aspects, such as customer experience. Your gourmet milkshakes and desserts – like the banoffee waffle, caramel sandwich and delichoux – are really works of art! Where do you come up with ideas for your amazing creations? I personally love travelling and trying different foods and culinary techniques. We find inspiration from almost anything, and our customers also play an important role, as they give us lots of ideas. We like to listen to them and offer them the opportunity to play around with their imagination, rather than simply presenting them with a fixed menu and leaving them no other options. What makes soft serve gelato so good? I think what makes any food good is the ingredients that are used, as well as the technique and the love that we put into making it. 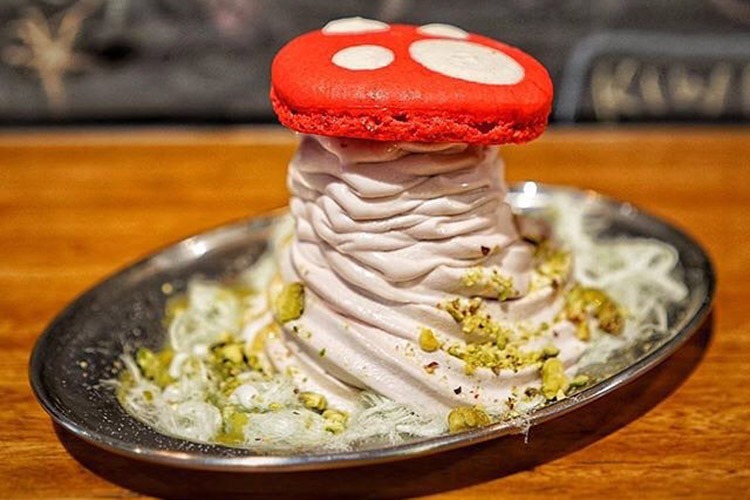 Speaking of soft serve, provided that only top-quality ingredients are put into the machine, the result is fresher and tastier than a traditional scooped gelato. Back in Italy, we used to make scooped gelato, and we did it for over 50 years. But soft serve technology has recently developed dramatically, and we decided to move in that direction. You can use almost the same mix that you use with traditional batch freezers, but a few aspects are changed, such as sugar level. Using soft serve machines, the gelato operator can significantly reduce the amount of sugar in the recipe. This is because the product doesn’t have to stay soft at -10 degrees, so it doesn’t need extra sugar – air is used instead. All your gelato is handmade and free from artificial colours, artificial colours and preservatives. Why is it important to use natural ingredients? I believe that when it comes to food there are no short cuts. Food should nurture our spirit as well as our bodies, and cheap food doesn’t do either. It is easy to understand why it is so important – just compare fresh milk to UHT milk. Fresh milk simply tastes better. What advice would you give to others aspiring to start a business? Get ready for a lot of stress and tough moments. It can be hard, but if you really love what you do, it’s not going to be a big issue. Where else do you like to go for a great meal in your area? I love good pizza, good burgers, good ramen – just good food in general! When I look for a place to have a meal I also look for a place that can give me something more than just good food; I always look for a different dining experience. 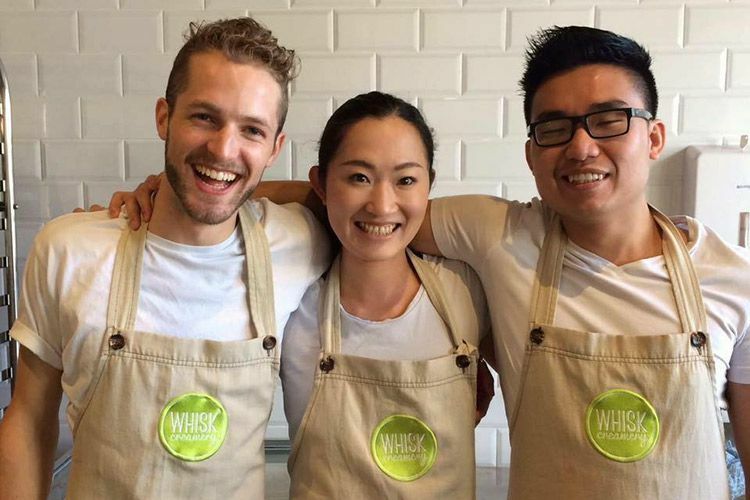 You can find Whisk Creamery’s new store at 246 William St, Northbridge. To find out more about their delicious creations, head to their website or Facebook page.